To some, possibly not the prettiest building – but certainly memorable. 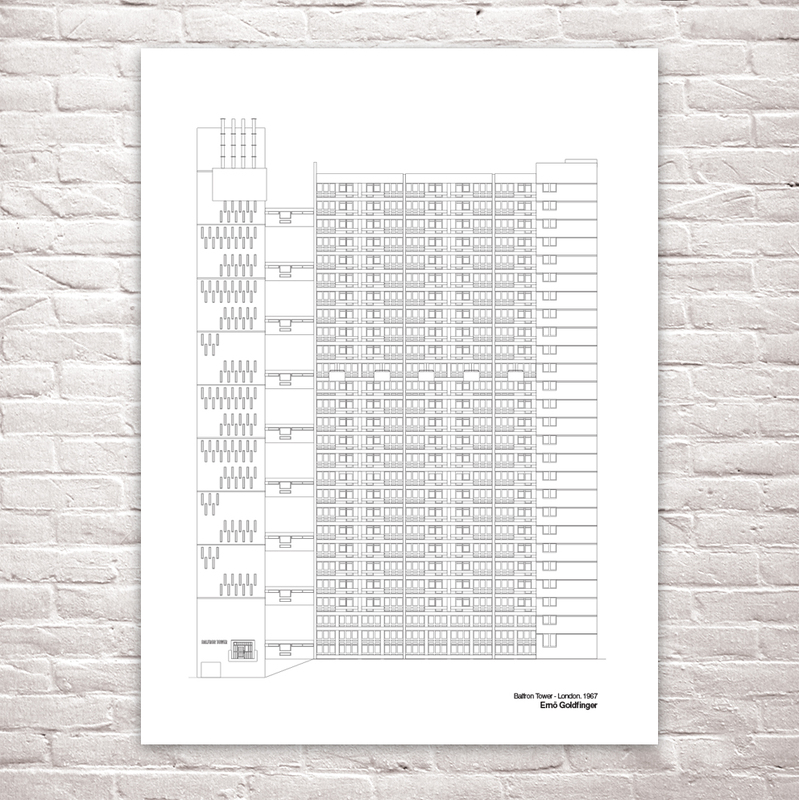 A simple illustration of Erno Goldfinger’s iconic Balfron Tower of the Brownfield Estate, completed in 1967. The service tower houses the lift shaft, laundry rooms and rubbish chutes which gives this building it’s distinctive and striking look. Similar to Trelick Tower, completed a few years later in 1972. 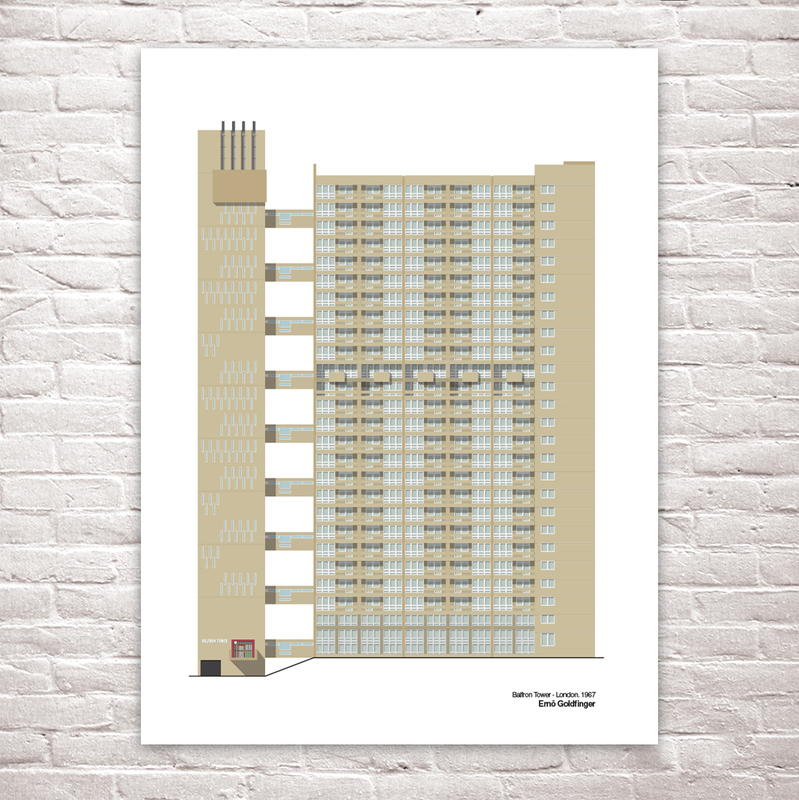 These buildings were later categorised into the style of Brutalist Architecture.